When is a guitar not a guitar? I'd like to thank Niall from ModeAudio for all of his support, help and enthusiasm for this project. The fourth part of my 'playing with samples and loops' series has now been published in ModeAudio's online magazine. As always, I'm fascinated by the way that finding alternative ways to look at things is a two way process - a new loop triggers an idea, or a 'what happens if I do this?' turns into an interesting variation that opens up different possibilities. But this time, I managed to put into words something that I've been trying to express for some time - the way that modern DAWs, sequencers, host software, audio workstations, or whatever else you call them, are more than just digital tape recorders. The blurring of the distinction between sound generation as in synthesis, and performance capture as in a recording, has been ongoing for a long time. A modern DAW now allows me to change the pitch of a synthesizer by modifying the MIDI data at its input, or by processing the audio output of the synthesizer through a frequency shifter - or both. And any of these can be captured, edited and replayed, or even added live. Effectively, the synthesis engine is the whole of the sound production chain, from sound generation, through performance capture, to live playback and interaction. 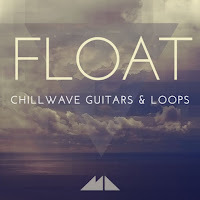 In one example in the ModeAudio article, I take a guitar-based audio loop, separate out the individual notes and stack them together, into a big, gorgeous-sounding bass synth sound. Actually, there's quite a bit more fine detail involved to do this, and this is where it gets interesting. I'd argue that the facilities that a modern DAW like Ableton Live give you to work with sound are a lot like a modular synthesizer, but with a few freedoms that modulars don't have, plus faster trying out of ideas (sometimes). The downside is that it can be just as difficult to figure out exactly what someone has done when they've stacked samples, edited them, added effects, velocity switching, and more, as it can be to work out what is happening in a modular synthesizer patch. In the spirit of making ideas and tips more widely available (4 parts so far for ModeAudio! ), then here's another one that arises from this. Why don't software modular synthesizers provide an alternative 'straightened-out' view of a patch? 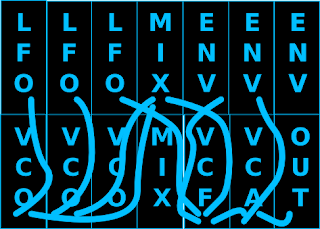 Instead of showing all those patch-cords linking modules, why not shorten the patch-cords, remove the detail and just show the linkages, and move the modules into a sensible order, so that you can see the generation and then the flow of the audio through the processors, and the way that the controlling modules (LFOs and Envelopes, etc.) are influencing things. Kind of like the way that the London Underground map doesn't actually show where the lines go, but abstracts the lines so that you can understand how to get to Mornington Crescent without worrying about where it is, or how the lines bend and twist on the way. 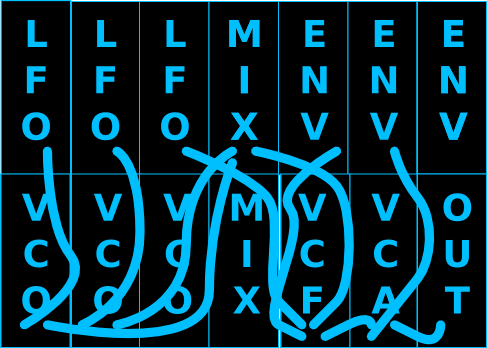 This doesn't just apply to a modular synth - it could be a complex Rack in Ableton Live as well. This type of 'abstracted view' could make it lots easier to comprehend how a sound is produced and controlled, and I'd say that that's a new feature that we should all be clamouring for! Why not ask your current DAW manufacturer if they are planning to do this type of view in their next release? You can always tell them I sent you! One answer could be: 'When it's a sample of a guitar!' Samples, or their 'here's one I prepared earlier' cousins: loops, can be rich sources of inspiration, new sounds, and more. Previously, I talked to the nice people at ModeAudio about mis-using a percussion pack. but since then, they offered me a chance to look at another of their packs. 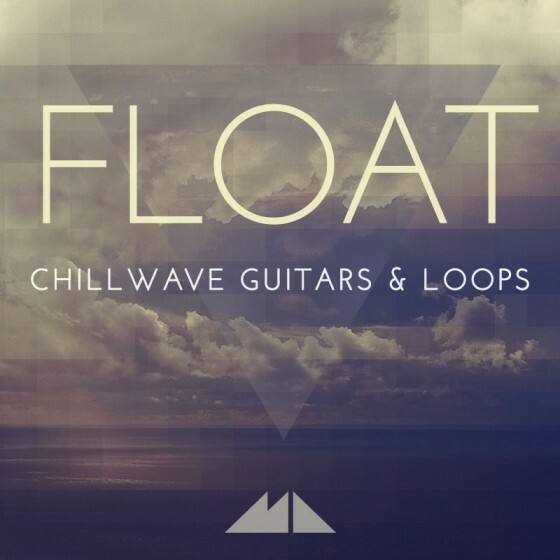 The ModeAudio 'Float' pack contains 'Chillwave' guitar samples and loops, and so it isn't what you might immediately associate with a synthesist like me, but exploring something 'out of your comfort zone' is often very good at nudging you into making new discoveries. In my case, taking some guitar loops and playing with them yielded some very interesting results - and in many of the cases, I worked with the samples as if they were raw material for synthesis, not specifically as 'guitar' loops. As a result, I didn't do much in the way of realistic guitar sounds, but instead I found a lot of very unusual and interesting sounds. One synth bass sound, made by reverse engineering a loop and then stacking the individual notes, is a sound that I'd pay good money for - just that one sound! I'm increasingly aware of the lowering of the barriers between synthesis and production in modern DAWs (sequencers, host applications, whatever your favourite term is! ), and my whole experience with 'Float' reinforced this view. Back in the days of analogue tape, people experimented a lot (using tiled bathrooms or big suspended metal sheets as ways of creating reverb spaces is just one example), and whilst the technology may have changed, the scope for going 'outside the box' seems to be undiminished, and if anything, better than ever. You can see the first part of my 'guitar sample-based synthesis in ModeAudio's magazine.